Our review: Pale yellow with distinct, almost sharp aromas of grapefruit and other citrus fruits. Tart on the palate, but not excessively so, with a bit of grassiness typical of this varietal. There is some residual acidity in the finish, which itself is rather brief but pleasant. 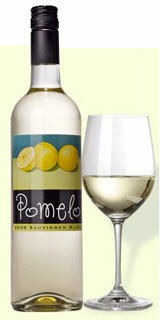 Our rating: This wine definitely will appeal to those who like their domestic sauvignon blancs citrusy with no oak. We've never had a pomelo, but suspect the label is aptly applied. Not a good aperitif or sipping wine, but it paired well with our Asian-inspired chicken appetizers. Comparable in style to Chilean wines, it seems priced a bit on the high side. We rate it about Average. Taste profile from the winemaker: "Wonderfully fragrant, floral and grapefruit nose with fig and peach aromas. Very full, round mouth with clean grapefruit flavors." 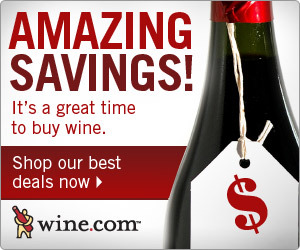 Winery website: Mason Cellar Napa Valley Wines.